Wojcik noted that "Xurkitree and Ninja Boy were MVP over the weekend." The variety of unorthodox cards in this list is incredible, from Durant BPT to Lusamine to Gladion to Counter Catcher to the 3-1 split of Pikachu prints (one has 60 HP but can Paralyze for a [C], while the other three have 70 HP but Paralyze for a [L]). UPDATE (11/20): Wojcik was generous enough to share a wealth of information about the list in HeyFonte. I've reproduced it below so it can be found more easily and accessed by those of you who are not in HeyFonte (or on Facebook at all). Wojcik's comments have been slightly edited for clarity. First of all, one important distinction to realize is that the goal of the deck is to run your opponent out of ways to take Prizes, not necessarily to mill your opponent; milling is just one way you can try to accomplish your goal in certain scenarios. You basically want to set up ‘inevitability’ (a very interesting article about this concept, from a different game: http://magic.tcgplayer.com/db/article.asp?ID=2754). This means Heatmor actually generates card advantage, besides returning Devo Spray. So given enough time, you can start to accumulate resources and make it even harder to break out of the lock, or get enough resources to switch into attacking with Durant while keeping the lock up manually. This means that draw-passing by the opponent while getting Paralysis chained is actually advantageous for Heatmor in the long run, and not an even situation without progression. Since milling is inferior to ensuring the lock, and is only relevant against matchups that have a high number of outs to the lock, 1 Handiwork and 1 Durant suffice as ways to pressure your opponent’s deck. Especially Durant is efficient: getting even 3 attacks off from Durant is as valuable as 6 Handiworks! This also introduces a important interacting that occurs: since Guzma is the main way to break out of the lock, the Active Pokémon is generally in a safe spot and can’t be hit, meaning that if you can maneuver Durant into the active with 2 energy (this gets easier with Ninja Boy Heatmor into Durant + attach Rainbow), Durant can often consistently put a quick clock on your opponent’s deck. It’s worth noting that once you hit enough switching cards with Durant/Handiwork, it’s safest to switch back into Heatmor. One last thing on Durant: the ideal size of your opponent’s deck to pull the trigger on Scrape Down is 9, since it puts him at 4 cards on the start of his turn, meaning that Guzma instead of N on that turn loses the game, and N will only dig a deeper hole, creating a win-win situation. 14 or 19 cards in decks are also efficient numbers to use Durant, since it sets up the 9 card deck. Xurkitree GX: Originally the plan was to use Lighting GX to force the 7-Prize game, but Xurkitree turned out to be widely useful during playing, putting opponents further out of reach of winning, and providing a nice wall to force the opponent to commit awkward energy attachments. 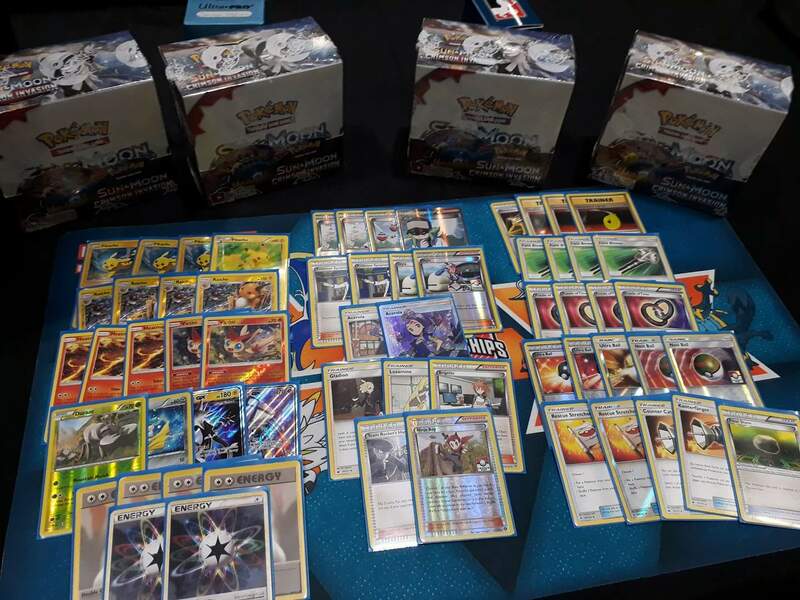 Against Gardevoir, they can normally take 6 prizes through evolving active Ralts and KOing for the first prize, 2 Guzma for the 2nd and 3th prize, 3rd Guzma for Twilight GX and last 3 Guzma for 4th, 5th and 6th KO. Before the addition of Xurkitree, the gameplan was to build up resources throughout the game (the games go long so there is lots of opportunity to do this) and pull the trigger to go heavy on Durant and Handiworks the turn after they Twilight GX, since their deck composition has the highest % of Guzmas (all 3) at that point, giving the highest odds of hitting one Guzma to get out of 6 KO range. The Xurkitree approach was way more consistent: pulling off a Lighting GX at any point in the game and bouncing the Xurkitree with Acerola/Ninja Boy ensured that 6 KOs isn’t enough. This way Xurkitree (and Gladion to fetch it out of prizes) won all 5 of my rounds against Gardevoir. Note that if Gardevoir ever starts Lele or attacks with Magical Ribbon/Beacon and you can paralyze their non-evolving active, Gardevoir can only take 5 Prizes and Xurkitree isn’t even needed. Jirachi: The idea was to have another way to deal with decks that had access to Rainbow + Acerola and ran heavy Special Energy (namely GoliGarb and BuzzGarb), and in combination with Counter Catcher to punish Choice Band on Garbotoxin by preventing DCE to be used to retreat. The 10 damage it deals is a major weakness, since it activates Acerola, so it really is only useful against decks that already play Rainbow themselves. Although I used Jirachi in a round to take an absurdly close win for a 1-1 tie against Golisopod/Zoroark/Rainbow which would otherwise have been extremely tough, this card was the most underwhelming card in the deck against the meta that showed up. Acerola: Functions as a 5th and 6th devolution Spray in combination with Rainbow, as well as to take Lele and Xurkitree off the board to prevent your opponent from taking 2 prizes in one attack. Acerola also helps against Po Town (you can effortlessly chain through a Po Town by returning Acerolas), against spread and Greninja snipes (if you do manage to get a BREAK locked active, your 70-HP Pikachu can live through Water Shuriken and then heal with Aerola). Getting back Acerola with Lusamine is also really efficient. Ninja Boy: Similar to Acerola, used to swap GX off your board after being used. As stated before, can be used to go from Heatmor into Durant to start trying to mill relevant switch cards at a high rate. An interesting application with Ninja Boy is if your opponent manages to take out all your Pikachu at some point, you can Stretcher them back and Ninja Boy something you already had in play into a Pikachu and immediately evolve it that turn, continuing the lock (I actually did this at some points during the tournament). Also servers as another semi-switching card if needed, which is something this deck is relatively light on with only 1 Float Stone. Tapu Lele + Brigette: Giving up additional Prizes is in direct contrast with the goal of the deck, but with Acerola, Rainbow Energy and Ninja Boy in the deck, playing 1 Lele and 1 Brigette for more solid openings becomes viable. Even without those, giving up 2 Prizes with Lele can be counteracted by Xurkitree/Durant/Handiwork plays, or even be irrelevant in certain matchups. Most decks can’t OHKO 170 HP untill later on in the game, so there’s usually time to take it off the field. That being said, not using Lele when not necessary is always better and puts less strain on digging for cards to take it off the field, so playing only one for early game situations is fine. Using the Lele when there’s only one Prize left for your opponent is also inconsequential, obviously. Lusamine: This card is the single most valuable card to return in a drawn-out game. Games can go 20, 30, or more turns, and playing Lusamine every few turns to get back double Acerola, single Acerola + Handiwork/Ninja Boy, or even Skyla/N to improve your deck composition to draw back into your combo pieces after your opponent Ns you. Lusamine is a key component in setting up resource-intensive plays (such as transitioning into Durant while keeping the Paralysis lock going, or making a Xurkitree play and then bouncing back into Heatmor), and, when combined with Acerola, frees up Oder Sleuth to get back other cards besides Devolution Spray, such as Field Blower or Counter Catcher. Gladion: It’s fun to compare Gladion to Skyla, Skyla has acces to the entire deck but Gladion has a monopoly on access to the cards in the Prizes, and can get Energy/Pokemon if they happen to be Prized. Gladion obviously shines in this deck with so many moving pieces and one-ofs. 3 Ultra Ball, 2 Nest Ball: Ultra Ball discards are very painful for a deck this resource-oriented, and while Ultra Ball provides unparalleled versatility in the short term, the value of trading 3 cards for 1 diminishes when the games go super long and every resource matters. Nest Ball is because you need as many Pikachu as possible (to always have 2 ready in case 1 gets taken out), and only 1 Raichu at a time. Counter Catcher: Opens up counterplay to Zoroark builds with only 1 Stand In, Greninja, and Garbotoxin with Choice Band attached. Also helps Jirachi hit Special Energy on the bench. Game 1: This game had some really simple, yet great plays from both sides in my opinion. Around 13:00, I draw into Ultra Ball, Puzzle of Time, N, Float Stone, Rainbow Energy and Counter Catcher off of an N. I know from experience that my best win condition in the matchup is Thunder Wave, so I opt to discard to Float Stone, which I could’ve used to retreat Xurkitree and attack with Heatmor, and keep Rainbow and Counter Catcher, which I value more, since I need to give up Xurkitree anyway to active Counter Catcher. I could’ve GX attacked with Xurkitree with the Rainbow, but I’m aware prizes are irrelevant in the matchup and board position is all that matters. After I go for Counter Catcher and hit the heads, there’s another great play in the match: Michael scoops immediately after just one single turn of lock. This was incredibly well played by Michael; he could’ve waited to see if I miss a turn of lock through consecutive tails or Ns, but the odds aren’t worth for the time it would take. 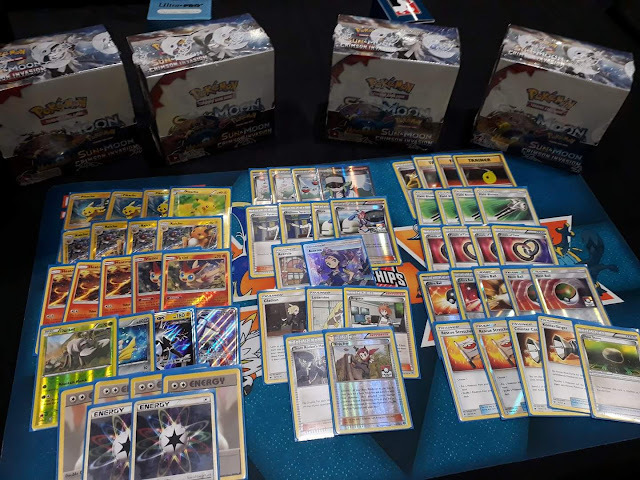 Game 3: Aside from the bad coin flips, I can explain my win condition here: I paralyze a Greninja with Pikachu; it BREAK evolves and goes to the bench; I Counter Catcher and Paralysis-lock the BREAK active, breaking the Shadow Stitching loop. Although the Break can still use GWS, the 60 isn’t enough to KO anything at once, and chaining Acerola to heal the damage eventually outlasts the 6 basic waters Greninja has. Using Starmie to get infinite GWS isn’t viable, since I can Catcher it up and lock it active. This whole sequence of course requires 2 heads with Pikachu, and you usually get 3 to 4 opportunities to hit those before you run out of Prizes to give up, as Greninja can close out the game with a burst of BREAKs to take the last prizes, but I have Acerola to heal the increments of Stitching damage for a few turns, and can weave in Heatmor attacks. Micheal definitely played the matchup well, the 6 tails flips were unfortunate but the odds weren’t in my favor to begin with since I don’t play Pokémon Ranger. GGs. I beat Zoroark builds with Stand In twice and tied a ZoroarkPod (with Rainbow) on Day 1, but the Zoroark Golisopod deck with 4 Puzzle isn’t close to being consistently winnable. It turned up big at London, with several making top 32 and Tord of course winning the event with it -- big props for the innovation and accomplishment! Day 2 I lost against it twice, so it’s unrealistic I could’ve gotten further in the tournament since I’d have hit that matchup again at some point. In the future, I would play a Marshadow-GX to improve the matchup; Marshadow can pivot between Heatmor's, Durant's and Xurkitree's attacks seamlessly and is safe itself in the Active against decks that only run Guzma to get out of the lock. I didn't play it because I was afraid it would be too fragile against decks that played Rainbow Acerola, but those didn't end up being abundant.